Literary manager | Producer | Ken Atchity: This month only, Poisoned Pen Press, is offering Story Merchant Client Dennis Palumbo's debut Daniel Rinaldi Thrilller, MIRROR IMAGE, as an e-book for just 99 cents! 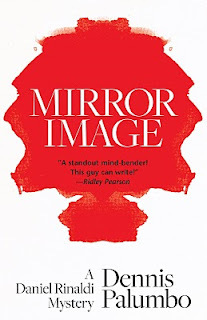 This month only, Poisoned Pen Press, is offering Story Merchant Client Dennis Palumbo's debut Daniel Rinaldi Thrilller, MIRROR IMAGE, as an e-book for just 99 cents! Dr. Dan Rinaldi, a character Kirkus Reviews calls "Jack Reacher with a psychology degree," this is your chance.